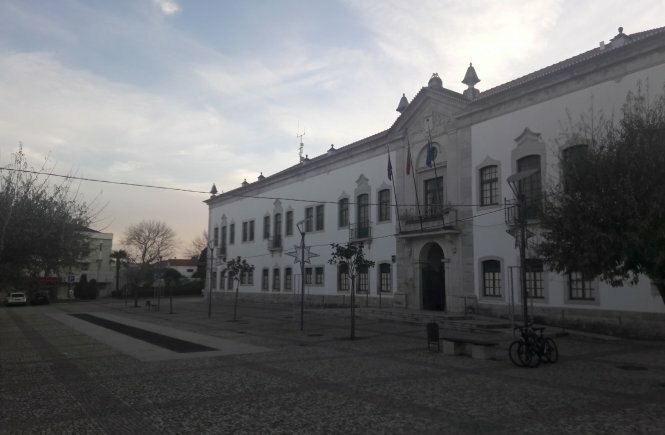 In the city of Caldas da Rainha we found two artists who have made Portugal their second home and who enchanted us with their approachable disposition, good humour and by their accomplished works. 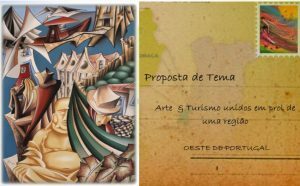 Following the contacts with the Associations of CULTARTIS and Costa Verde e Prata, we have accompanied some of the associated artists and some events promoted by them. As nothing in life is static, we found MariAn Simpson which in turn brought us to another artist, Maureen Simpson (no relation). 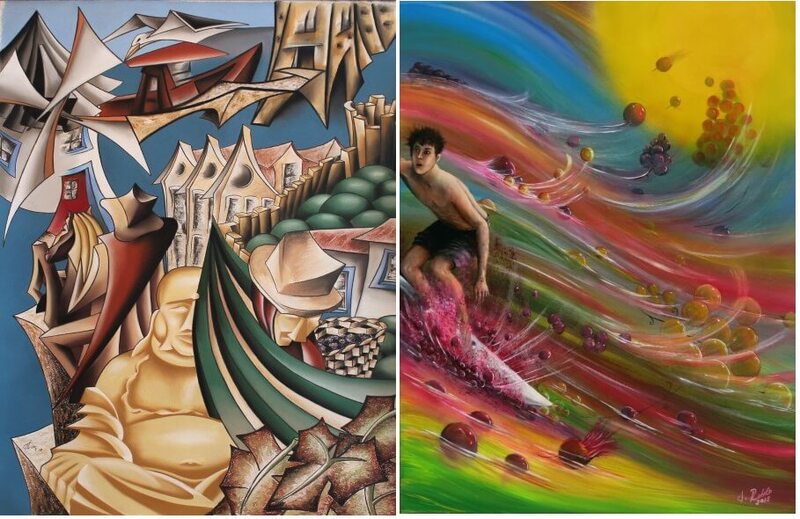 Here we are going to talk and get to know these two artists, who are passionate about art and inspired by Portugal, in a brief interview and short report that we’ve prepared for you. Another day in another article we’ll talk about Maureen Simpson. 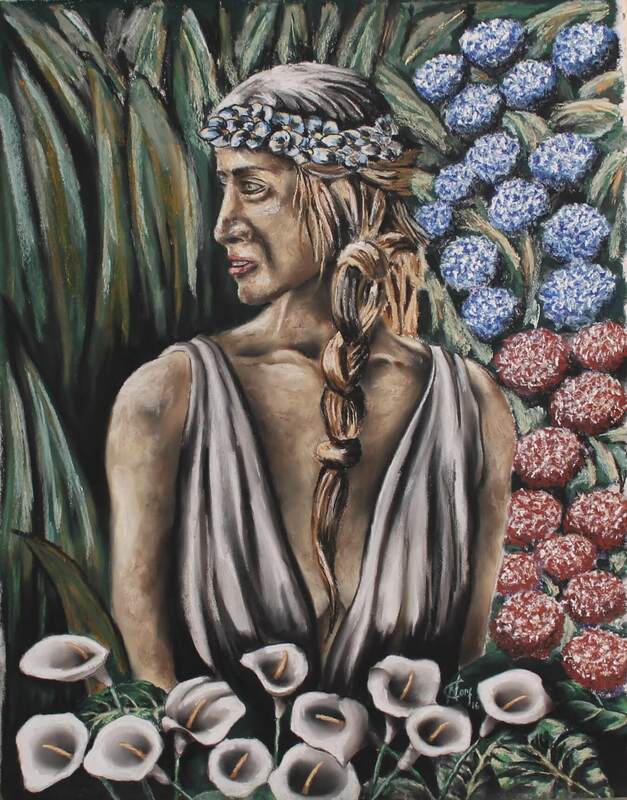 For now there is the written word with soul and color of the fantastic painter MariAn Simpson. We: We know that you live in Portugal, more precisely in Foz do Arelho. Tell us a little about yourself and the reasons why you came to live in Portugal? MariAn: After gaining my degree, I started work as a colour consultant and my career then went on to include interior design and space planning. I have also taught in colleges of Further Education. I have always worked with colour and can’t imagine a life without it. I have always painted and for many years belonged to a group who met weekly for life painting. 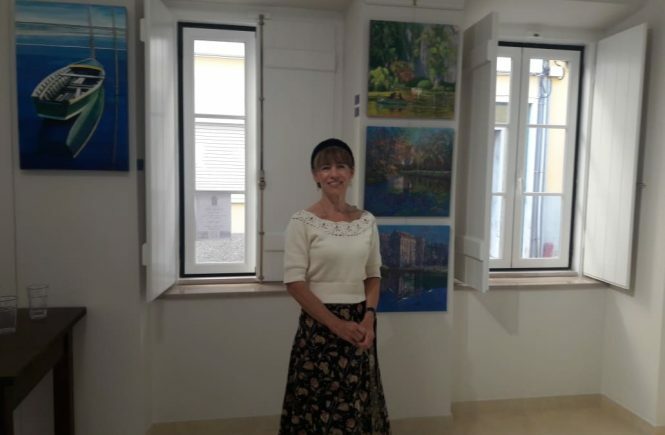 I have exhibited extensively in England and in the Caldas da Rainha/Foz do Arelho area. I have also been lucky enough to win prizes for my work. I’ve always loved Portugal; we used to holiday here regularly. I love the people, the climate, and the slower pace of life. After many years travelling around Britain on the congested roads in all climatic conditions, I find it a joy to drive here – with the exception of Oporto and Lisbon! MariAn: I have always enjoyed drawing and showed a flair for it from about the age of 5. After school, I went to Art College for 4 years where I gained my degree in Fine Art and Design. I don’t follow any particular trend but I am greatly influenced by J.M.W. Turner, the impressionists and by more contemporary painters such as Ken Howard who is a hero of mine. MariAn: I prefer to use oil paint as I enjoy the fact that the colour doesn’t change upon drying. I also prefer the way in which oil paint stays “open” so that you can freely work wet in wet. Of course, there are times when I’d like it to dry quicker, notably when using a glaze, which is when I often add a medium to speed up the drying, to create a more pleasing layer and to enable better blending. I also enjoy watercolour and soft pastel. I enjoy the fluidity of watercolour, the way some colours granulate when they mix with other colours, the transparency of the medium, the “happy accidents” and the way in which it does a lot of the work for you! 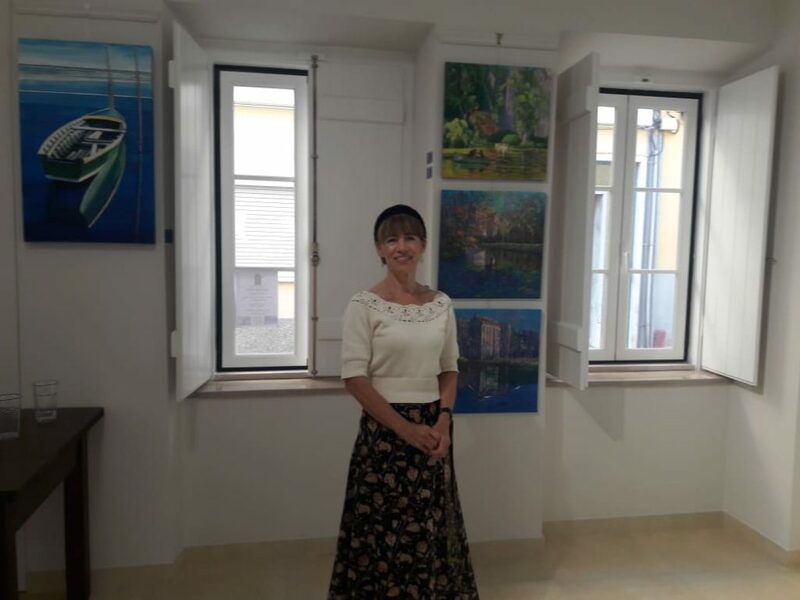 We: MariAn Simpson participated in the collective exhibition “8 artists, 24 works” and, at the Arthouse, has works exhibited together with the artist Maureen Simpson. In your opinion, do collective exhibitions bring added value to artists and the public or do you prefer individual exhibitions? MariAn: I believe that both individual and group exhibitions have their merits. 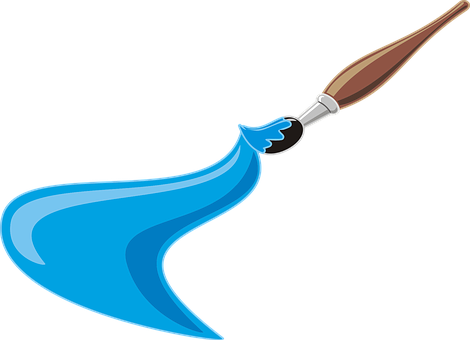 A group exhibition is great for attracting a wider range of viewer who may not have seen your work before or be familiar with your kind of painting. It provides variety “something for everyone” and it is always useful to see one’s work within the context of the work of one’s contemporaries. Individual exhibitions expose the public to a greater expanse of your work and give them the opportunity to truly immerse themselves in your approach and handling of certain subject matter. MariAn: I always have an idea of what I want to paint and to achieve, usually based on something I’ve seen and wish to capture on canvas. I will always start with some images in front of me be it photos, sketches or a physical presence as in for a still life or a portrait. Of course the direction a painting takes doesn’t always go to plan and my ideas change as the painting progresses. For me it is quite an organic process. MariAn: I find this whole area totally inspiring. I particularly enjoy the life and movement to be found on the lagoon where the light is always changing. I also love to see people in my paintings as they go about their chosen work or pastime. When I can, I also love to embrace the challenge of trying to capture the special beauty of the flamingos on the lagoon. I couldn’t believe that they actually exist here and I find them totally fascinating. I also love portrait and life painting. They are both very challenging but most rewarding. In all my work, my prime concern is to capture light. I’ve chosen this painting because it is one with which I really struggled. It has been reworked several times but in the end the build-up of paint in some areas really contributed to the overall final effect. I’m very pleased with the final colour balance and the way in which the surface texture helps to indicate light. It is a fairly limited palette with the complementary colours of blue and orange as a base. Every element is fairly high key with no real darks; this has enabled me to create an atmosphere of tranquillity as the emerging light gradually starts to illuminate the scene barely touching the flamingos in the foreground. In the end it is the light which is the most important element.